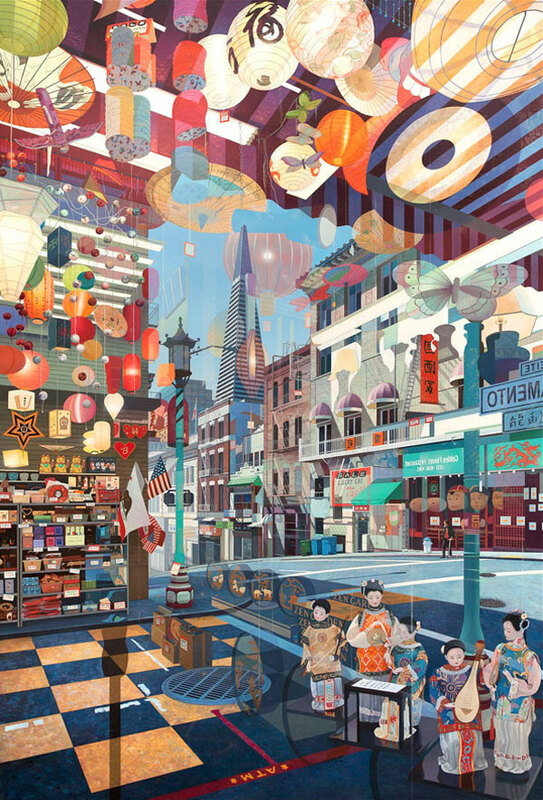 A new painting showing the Transamerica pyramid building reflected from the window of a Chinese gift shop. Transamerica is a reflected view of a San Francisco street seen through a Chinese gift shop. Instead of a real reflection the view presents a composite of photographic information and objects painted directly from life in the studio. By describing a series of layers of information some opaque, others translucent the intention is to suggest a heightened reality, one we could not experience in the real world. Freehand drawing is fundamental to all of my work allowing me to take full ownership of photographic material. Rejecting the mechanical transfer of imagery forces me to construct each object from scratch and allows for a fluid and inventive approach. 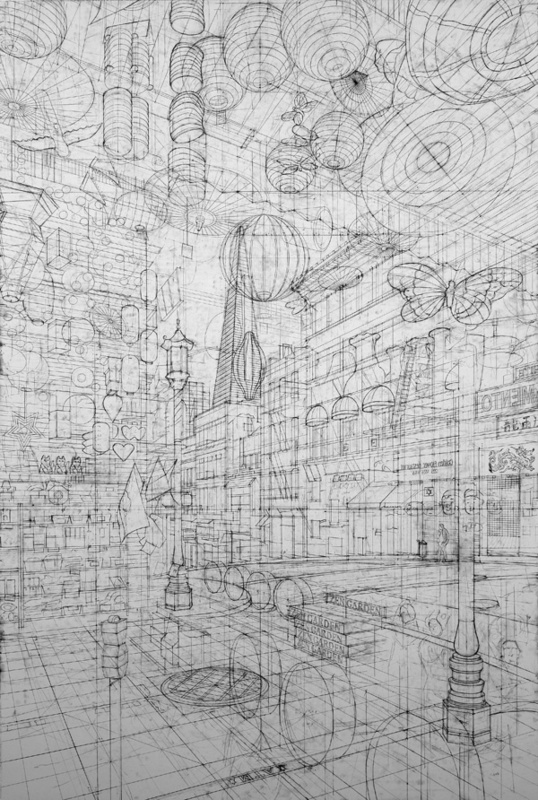 Fixing pictorial elements to separate vanishing points allows the construction of a space independent of both reality and any photographic record of the scene. 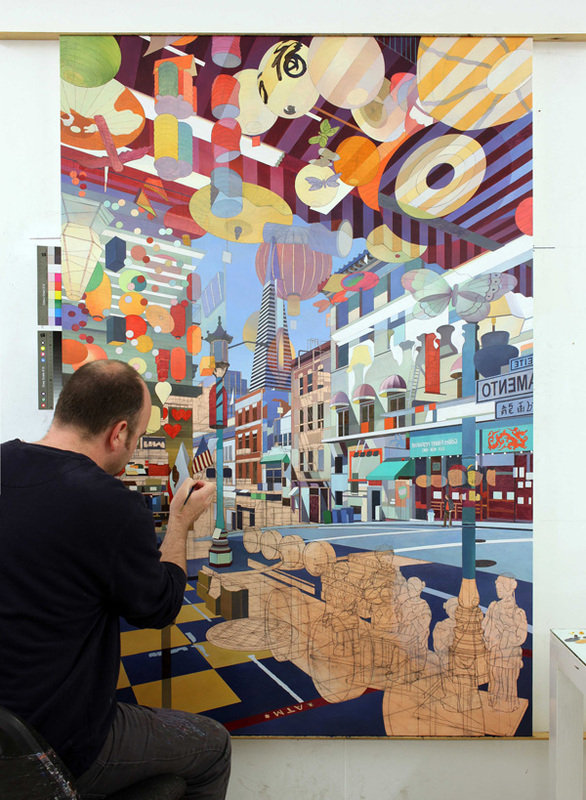 A shifting horizon line allows the viewer to look up and down into the space, and question their position in relation to the scene.